Built with 11-oz. 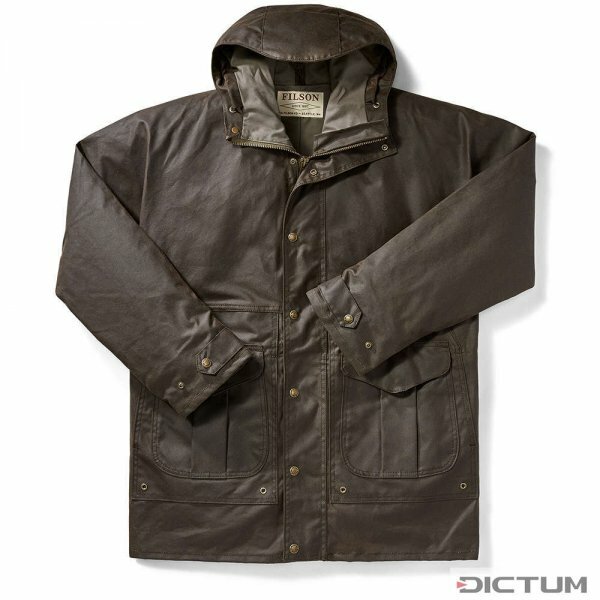 Shelter Cloth, this thick, waxed-cotton raincoat holds back moisture. 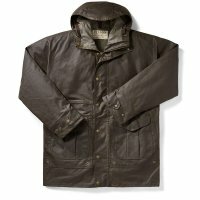 Seam-free shoulders keep the rain out in a downpour, and Filson liners can be zipped in during the winter. Nothing has changed since then. In fact, most new products are based on customer comments. And, just like C.C. Filson did, the company refines their designs based on customers and field testers experiences in the field.